is then placed against it (Fig. 51). 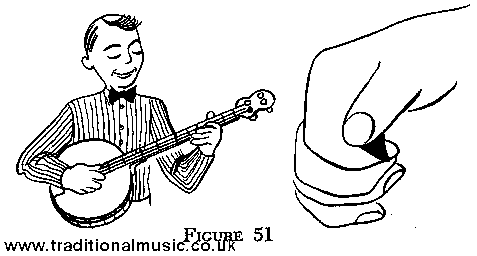 cause it is used all the time in playing the Tenor Banjo. of the banjo are spaced one half-tone apart. put your finger on the string at the first fret and press down.